anyone with clue, gossip or tiny hint for the new boats ? Ran is out, going 40' sailing I think, Zennstrom was giving his goodbye's at the last regatta. I think there might be some new designers in the mix as the AC related teams sign-up their talent. Brazilian owned Phoenix, American owned Phoenix, or German owned Phoenix? They're all the same boat. Interests:High performance sport boats...<br /><br />And going even more radical! They are, but if your stablemates (quantum) are Botin and you can latch onto some of that sweet sweet AC development technology why wouldn't you switch? And last designer to win a race in the 52 Super Series that wasn't from Botin or JV was actually Reichel-Pugh. When building new boats for the 2015 rule, it showed that the yard has to have experience as well to ensure you're bang on target. Going to JV or Botin and having your boat built by King (VLC), Longitud Cero or Persico will mean you'll win some races and your boat will be competitive. Going RP, Mills, Farr or Carkeek and build the boat elsewhere does not mean you won't be competitive just that chances are you're off the pace in this highly developed fleet. Well said , and agree - can add also Juan K to the list with his non orthodox Origin design . Carkeek will always be one step behind Botin. For reasons that if you knew them would be obvious. more important, where are the old ones going? Well the Azzura is going to Australia I bet. Quantum probably to stick around as an AC development boat. Then who knows about the rest. I think if other designers start working more on the rule then they will get up to speed and produce fast boats. They already have the Botin and JV's to study what has been working. I would think at this stage most know which corner of the box is fast, small tweaks to fit in a range of expected conditions. 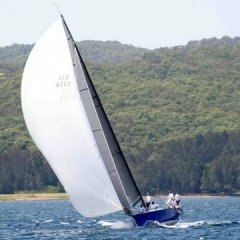 When I read Dean Barker was going to be driving Quantum Racing, I assumed he would drive the old boat while the NYYC boys would get the new boat. Onda is the new Brazilian boat, owner formerly had Phoenix. New Q Racing to be built in the U.S. Does this mean Ed B. will sail with BAR/Gladiator as far as the AC goes? So with Sorcha selling their (old) boat, are they one of the new builds? RAN are out of the TP52's and moving to the Fast40+ class. Why? You think they're not doing anything this winter? ^^^^^ they should just sail the entire AC series in the TP52 class boats. Clearly a durable class long-term, not every boat needs to "fly" and for sure more trickle-down for the rest of us conventional sailors all 'round the world. This new swiss-army knife looking AC contraption is bizarre. Not many nz builds. Pity. They are too hooked on this foiling craze. What sort of Fast40+ have they bought? That new Botin?? Don't know if that's their new boat, all I heard from 1 of the crew before he left for the last 52 regatta for the season was they were out of the 52s and into the Fast40s next season. 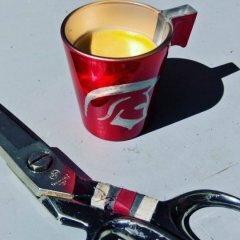 doing four 3-day events in the UK (and 1 week-long) + 1 overseas (One Ton Cup in Holland) is a lot less travelling than six 10-day events all across the Med as well as the obvious difference in cost (with the pro-am rules in place within the class for instance, as well as the limit on sails). All-in-all it should be pretty darn good bang for the buck. I really thought if they went to monohulls it would be a 70ish foot TP52. I agree with you the new idea is just stupid. Sled is NZ. Shame Mick hasn't made any stick. The exchange rate movement came too late. Cammas mentioned in an interview in Melbourne that he will be doing the super series...New boat or with paprec? Any new's on why Q scrapped the USA build and went to Spain to build? Check out compositebuilders.com and draw your own conclusions. i sure don't see any 52' sailboats in their portfolio. Check out compositebuilders.com and draw your own conclusions. i sure don't see any boats in their portfolio. My guess based on the location is that DeVos funded the company. With no proven track record building boats there was just way too much risk. All of these are guesses but they seem reasonable. I'll further guess that they will spit out a one-off in the next year for DeVos and/or his kids to knock around in. Again, all speculation on my part but I think it's reasonable. Gazprom to US as Interlodge 6, plan is to do Pac52 series. 9 new boats hitting the water in fairly rapid succession. And the class was declared 'dead' after Audi pulled out. Saw the new Sled a few weeks ago sailing in the Rangi channel. They are really nice boats to look at while sailing. Azzurra has been sailing in VLC and there was a Quantum Racing video of the new build on social media. Ex Brononosec now Interlodge has left RI bound for the West coast on a truck for Pac52 racing. 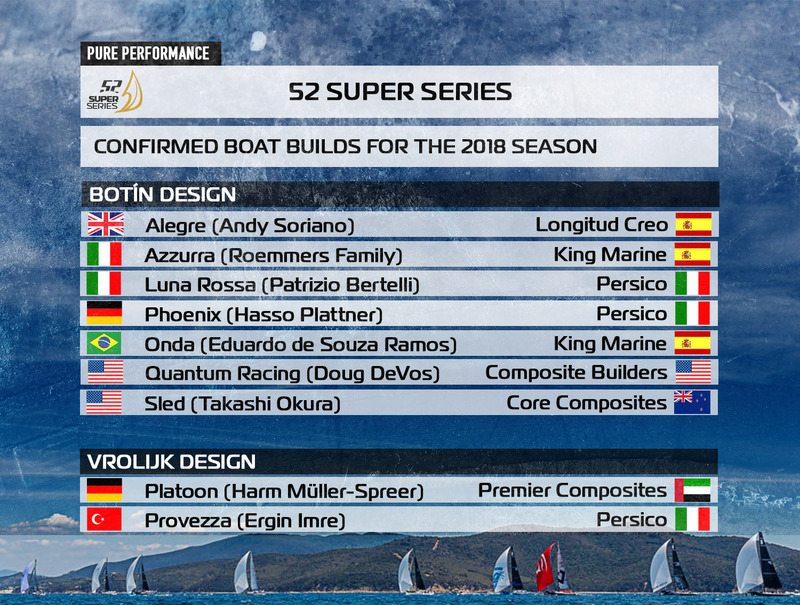 First event in Europe done for the Super Series boats at Palma Vela, new builds fill the top 5 spots with Azzura, possibly the longest time on the water, in first with Quantum, Platoon, Sled and Phoenix. Gladiator, back in her old war paint gets 6th, with the new Alegre 7th. Going to be an interesting season as it's been a while since there were so many new boats on the line. Provezza have just launched in Ancona and will go straight to Sibenik to join the other boats for the first event. My guess based on the location is that DeVos funded the company. Confirmed negative on this one. Yes, they are friends. Brian started that co. all on his own, and I was there to watch as it happened in a building owned by me. Give the man some credit ! With no proven track record building boats there was just way too much risk. Well, aside from building a few boats for the Oracle AC teams and such. Granted he was an Oracle employee at t hat time but there is certainly relevant experience. All of these are guesses but they seem reasonable. I'll further guess that they will spit out a one-off in the next year for DeVos and/or his kids to knock around in. Again, all speculation on my part but I think it's reasonable. SA is full of people 'guessing' and I dont pretend to be the authority on anything here but your guesses are only that. The move to Longitude was a no-harm, no-foul deal as they already had a mold built in spain they could spit out a second hull very quickly which was an advantage for the team. Watch for cool stuff from Composite Builders soon. They should use these for the AC!!! What's up with the shape of that bulb? Looks like a pretty fast hard taper back to the beaver tail. I'm sure that there are test results, but haven't seen anything like it before, I don't think. Any better shots? Looks like a small generational evolution of a regular Botin bulb and fin. Slightly confused with the 46 Bow number though. Anyone hear something for other new tp52 ? New builds seem to go in 2-3 year cycles, Bonenosec is an exception this year.